To help get the job done! Your tires are responsible for gripping the road, providing drivers with the traction they need in order to maintain control of their vehicle even when faced with adverse road or weather conditions. Ensure they're performing at a safe level, visit our service center in Bloomfield, New Jersey near Newark for quality care today. 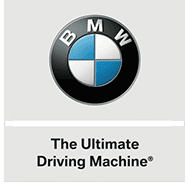 You can give our on-site service center a call to inquire about an appointment, or you can use our interactive BMW of Bloomfield website to request a tire service right now! Should your BMW or ride from a different brand be in need of a new set of tires, BMW of Bloomfield has you covered! We carry a range of new tires for sale so that we can assist all drivers in the Clifton and Montclair, NJ areas. Contact us about your needs today. Our professional service team will help you find options that complement the type of vehicle you drive, install your selected set and update the vehicle records we keep for your pre-owned BMW X5 so that we can help you protect your purchase with things like rotations. We look forward to assisting with the tire needs of all drivers in the Bloomfield, NJ area soon.